CWC Gulf’s roots in Iran go back to 1980 when just after the Iranian revolution a friendship was established between the founder of CWC Gulf and an Iranian business Group. A relationship built on trust and mutual respect providing a communication channel lasting through the many difficult years of sanctions. 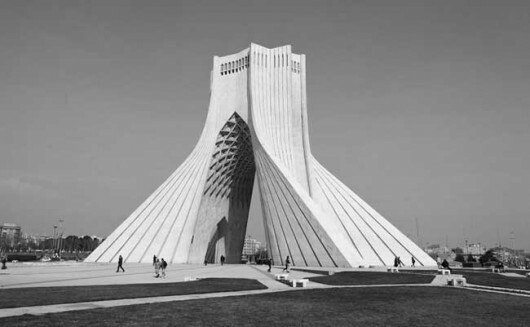 CWC Gulf opened its office in Tehran in September 2004 and has since worked with a number of Iranian government ministries and companies for the enhancement of bi-lateral commercial relations. On 14th July 2015 the E3+3 (France, Germany, UK, China, Russia and USA) reached an agreement on a nuclear deal with Iran. Implementation day for the removal of most financial and economic sanctions was 16 January 2016 and as a result the outlook for UK-Iran trade relations is very positive and supported by the UK Government. After over 4 years of closure the British embassy in Tehran opened in a formal ceremony on 23rd August 2015 and CWC Gulf was pleased to be represented at that event. Since March 1st 2016 its business as usual and many companies from the UK are interested in the Iranian market. Iran is an important country in a strategically important region. The investment priorities in the oil and gas industry include enhanced oil recovery projects, pet-chem, power and refining plants together with the construction of liquefied natural gas (LNG) export facilities. Iran has the potential to become a leading LNG exporter providing it can access new technology and build new infrastructure. The lifting of sanctions is expected to unlock major investment in the oil and gas industry as well as other sectors of the economy which will benefit from investment and the latest technological processes. Opportunities also exist in the automotive sector and the development of tourism and hospitality industries. Civil aviation is another area which offers huge potential for revitalization and modernization after 30 years of stagnation. CWC Gulf are well placed to assist its clients in choosing the right partners and finding solutions for financing and risk insurance. CWC Gulf are also assisting Iranian companies and organizations to invest into the UK and elsewhere. The freeing of Iranian offshore funds is providing an important opportunity for UK inward investment and CWC Gulf is at the forefront of this promotion. We expect to see Iranian backed financial investment players in the UK equity and venture capital market in the near future. With the lifting of sanctions, UK Export Finance (UKEF/ Export Credit Guarantee) has re-opened for Iranian related business and is ready to support UK businesses that wish to export to Iran. UKEF can help bridge the gap as commercial banks and insurers re-engage in UK/ Iran trade. If you are an Iranian company wishing to do business in the UK or requiring an International partner for projects in Iran then CWC Gulf are the right people to talk to. If you are a British or International company looking to do business with Iran then we can help. Contact us now. The price of crude oil has fallen continuously since June 2014. Current oil prices are the lowest since September 2010. In addition to sanctions constraints on its oil exports, the drop in the oil prices has affected the Iranian economy. The current Iranian budget assumed an oil price of USD100 per barrel. It is difficult to predict the effects of falls in oil prices on the economy of Iran. However President Rouhani’s government intends to boost alternative sources of revenue in order to minimise the budget deficit which is at least 30 percent of total spending. Growth rates in the Chinese and European economies have slowed, limiting the demand for oil. Supply from the North American shale production is increasing. The current policies of Saudi Arabia are inclined to growing its market share rather than maintaining its oil prices. These indicate a further fall in oil prices. The lifting of sanctions on Iranian oil will have a further depressing effect on oil prices. Once lack of Iran oil supply was a mutual problem for Iran and the West, now it is clear that a reduced oil income is more of an Iranian problem. Historically some 90 percent of Iranian foreign currency revenue is generated from the oil and gas exports. However, the current situation has encouraged Iranian leaders to look to alternative sources of income to close the budget deficit – although this isn’t an immediate solution to balancing the budget. Agriculture, handicrafts, tourism and mining are sectors which are attracting more attention now. Agriculture is an important segment of Iran’s economy and contributes approximately 11 percent to the overall GDP of the country and the sector employs around one-third of the work force (Ministry of Commerce, 2009). Iran’s main agricultural food products are wheat, rice, grains, sugarcane, fruits, cotton, wool and dairy products. Although Iran may not be able to become a net exporter of agricultural products, self-sufficiency in the sector will change the balance of foreign currency. Iran’s handicraft industry contributes around 3 percent to the GDP and employs over 5 million people. The carpet industry alone employs approximately 1.2 million people Iran exports around USD 500 million worth of carpets every year. In 2008, this represented around 30 percent of the world market. Carpets made in other countries, are often sold as Persian carpets. The industry was so well respected that during sanctions, other industries have used the carpet traders as buffering point to transfer money to or from Iran, according to people familiar with the matter. Tourism is of growing importance for foreign currency earnings. Apart from Islamic religious sites, UNESCO has rated Iran among top 10 countries in the world for tourism. 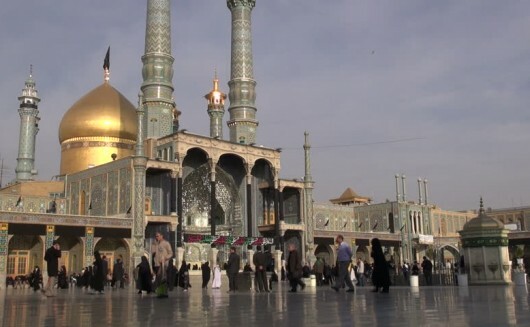 By ensuring safety for tourists and promoting its culture, the Iranian government can easily attract more tourists to a country which, since the 1979 revolution, has not generally welcomed foreign holiday visitors. The mining sector contributes around 4 percent to the country’s GDP. Iran is capable of exporting products such as minerals, coal, iron ore, lead, zinc, chromium, uranium and gold. The Iranian government can develop this industry further to increase its contribution to the overall economy of the country. Iran’s rich natural resources can help the economy to fight the problems faced due to reduction in oil prices – but this will take time. So far, only 8 per cent of Iran has been explored for minerals.